Curated by Anthony Bond OAM, Landmarks celebrates works of art that are inextricably linked with landscape from some of the world’s most significant and influential artists of the 21st century. Showcasing outstanding works from the John Kaldor Family and Art Gallery of New South Wales collections, the exhibition features Christo & Jeanne-Claude, Simryn Gill, Andy Goldsworthy, Andreas Gursky, Richard Long, Perejaume, Imants Tillers and a new commission by internationally renowned Blue Mountains artists Claire Healy and Sean Cordeiro. 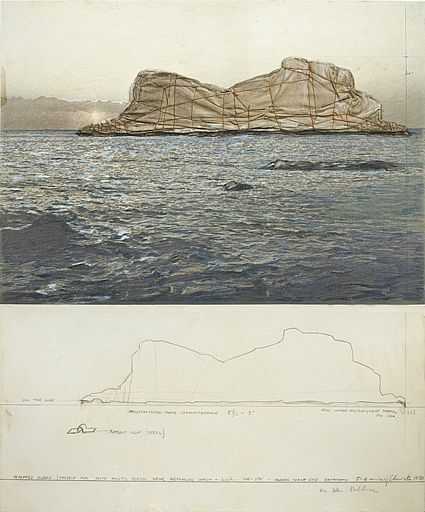 The exhibition explores the shifting perception of landscape that saw artists’ work in the late 20th and early 21st century move from that of framing an image to a more immersive experience, where deeper observations and ideas about relationship with the land were investigated – thus marking the emergence of land art.